A new year means more exciting hotels are opening across the globe, and 2017 looks to be a bumper crop. Here’s a list of the 18 most exciting hotel openings to look out for in the year ahead, including many where you can earn and redeem points, presented below in order of opening date. Why You Should Go: While Wyndham might not be known for having a huge portfolio full of fancy hotels, this one looks like it’ll be among the brand’s nicer options, with 273 rooms and suites, a restaurant, bar, spa and roof garden with a pool. It’s not in the heart of Athens’ tourist-filled center, but located right near the metro, putting much of the city easily within reach. 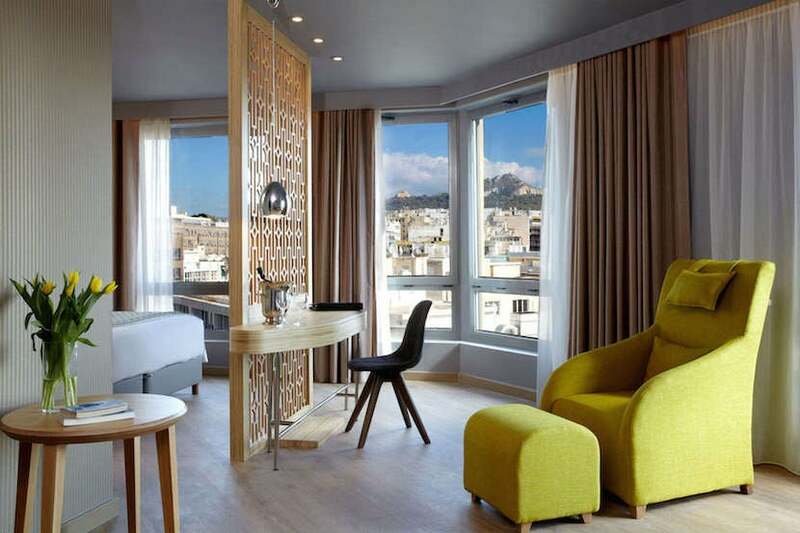 Room rates start at about 120 euros (~$125) per night, but like all other Wyndham properties, you’ll just need 15,000 Wyndham Rewards points for an award night in a standard room. Opening: The Wyndham Grand Athens was supposed to open in early 2017, but it looks like it’s already opened quietly and is taking reservations. Wyndham is opening its first property in Greece this year. Image courtesy of Wyndham. Why You Should Go: Of course, no list of exciting hotel openings would be complete without an entry from New York City, and though the hotel boom of 2016 seems to have slowed somewhat, the city that never sleeps still seems to have plenty of interesting places to sleep. One of the best will be the new Brooklyn location of hip mini-chain 1 Hotels, which already has properties in Midtown Manhattan and South Beach. The building will incorporate living walls and greenery throughout an otherwise industrial-chic structure, while rooms will have works by local artisans and floor-to-ceiling windows for better views of the cityscapes across the East River. There will be 194 rooms in total, including 29 suites, and the hotel will have a spa by UK brand Bamford, a yoga and barre studio, a screening room, a farm-to-table restaurant and a 10th-floor rooftop lounge with two bars and hospitality suites. Opening rates start at $315 per night. 1 Hotels is extending its reach in New York with a new Brooklyn property. Image courtesy of 1 Hotels. 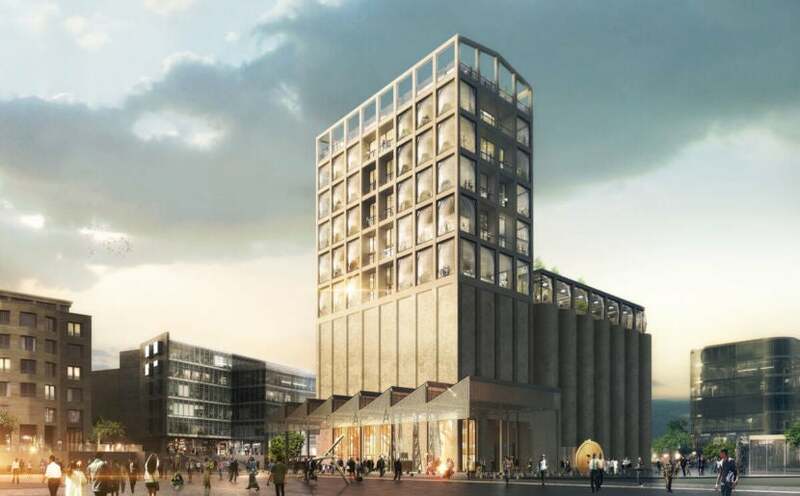 Why You Should Go: The Silo is a new luxury boutique property slated to open along Cape Town’s busy V&A Waterfront this March. The new hotel will occupy the top six floors of a historic silo complex dating to 1924 that’s also currently being turned into the Zeitz Museum of Contemporary Art Africa, due to open in September 2017. The Silo’s 28 rooms and suites will all be individually decorated from the owner’s private collection, and you can expect perks like a rooftop Champagne bar, a spa and a piano bar as well. Rates in March start at about 18,000 South African Rand ($1,322) per night. Cape Town’s Silo Hotel is the most exciting new property in the city in years. Image courtesy of the Silo Hotel. Why You Should Go: There are over a dozen Starwood properties in and around Shanghai, so it might come as something of a surprise that the chain doesn’t yet have a St. Regis there. Well, all that’s changing thanks to the imminent opening of this new luxury hotel, which will have nearly 400 guest rooms, 41 suites, 47 residences, and will be located on the 29-59th floors of a skyscraper in the Jing’An district, away from the touristy Bund and sterile Pudong parts of the city. The hotel will also be home to three restaurants, a spa and a large fitness center. Opening rates are not yet available. 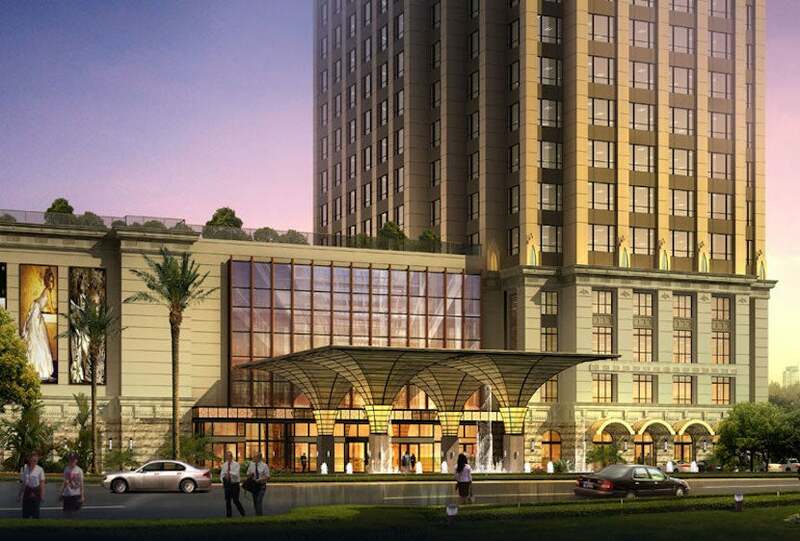 This will be St. Regis’s first hotel in Shanghai. Image courtesy of Starwood. Why You Should Go: What do you get when you take a world-class luxury chain, stake out a historic property dating to the 1930s that once hosted the likes of Winston Churchill and Frank Sinatra and ask Prtizker Prize-winning architect Richard Meier to rehab the whole thing as part of a new hotel project? This gorgeous, forthcoming beach property from Four Seasons. 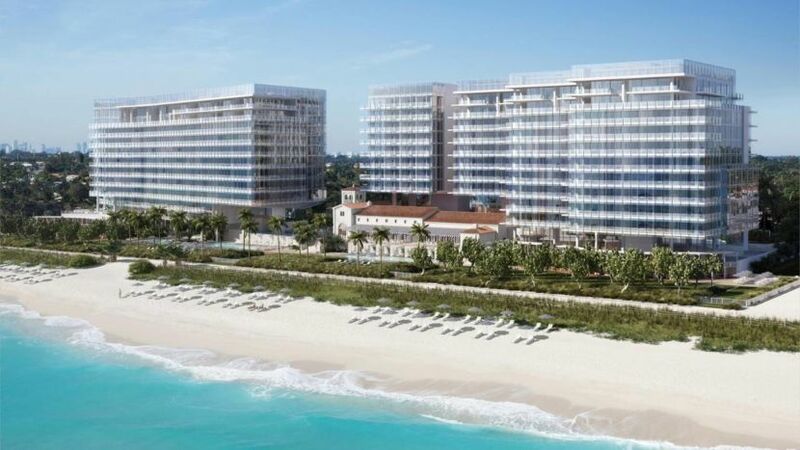 The resort — located just a 30-minute drive from Miami International Airport (MIA) — will feature 77 guest rooms, an oceanfront spa with two outdoor cabanas, a hammam, a restaurant-bar-lounge and an outdoor terrace for dining. Opening rates start at $849 per night. Four Seasons hired Richard Meier to reinvent its newest beach property in Miami. Image courtesy of Four Seasons. Why You Should Go: This 140-acre island with white-sand beaches and a lush jungle interior is just adjacent to Fiji’s eco-rich Astrolabe Reef, so it’s truly a diver’s paradise. The hotel is the passion project of an Aussie billionaire and has just 21 beachfront villas with private pools and six luxury residences. There are plenty of water activities, like scuba diving, snorkeling and sailing to indulge in, as well as a spa, and sustainable, locally-sourced cuisine, among other features. Opening rates start at around $1,800 per night. 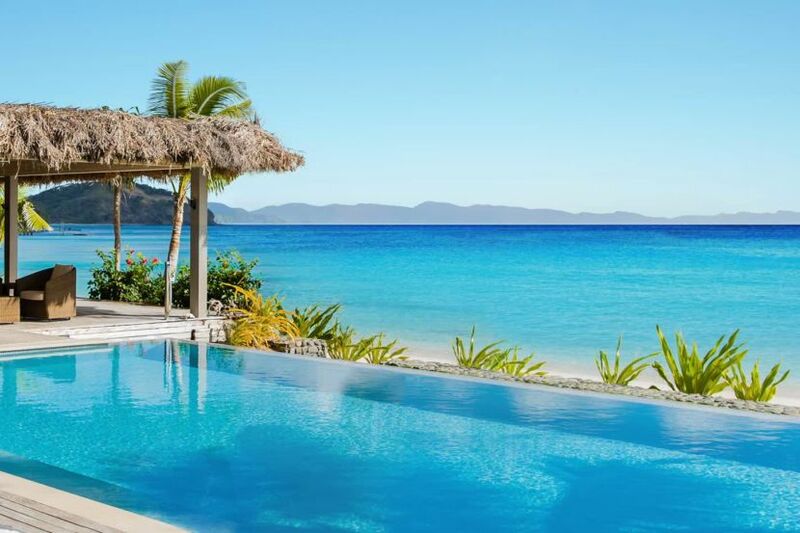 Fiji will be home to one of the world’s most exclusive new properties. Image courtesy of Kokomo Island Resort. Why You Should Go: Curio is one of Hilton’s smaller labels and is comprised of hotels that are each meant to retain their individual character and epitomize the destination. 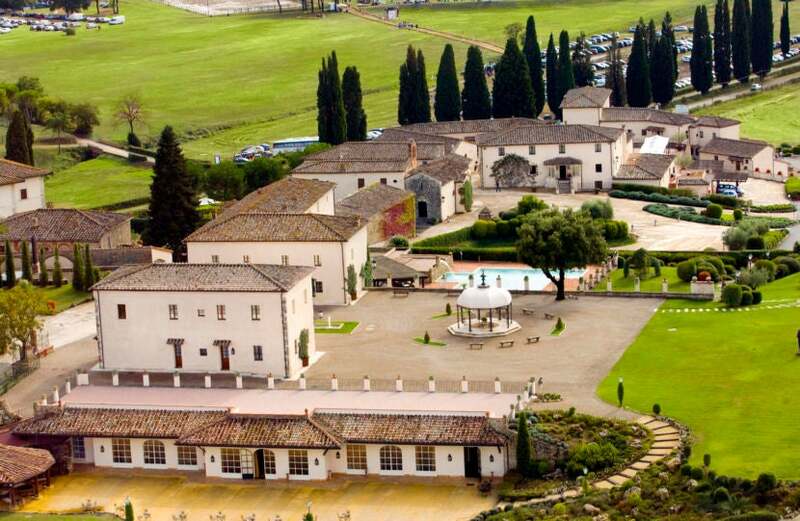 This 101-room resort in Tuscany will be Hilton’s first Curio property in Italy and is located outside the medieval town of Siena. It was built to look like a traditional Italian village — complete with two main hamlets — and features an 18-hole golf course, a Clarins spa and several historic buildings scattered throughout the property. Opening rates are not yet available. Hilton is bringing its Curio brand to Italy this year. Image courtesy of Hilton. Why You Should Go: The first new resort to open in Bora Bora in 10 years, the Conrad Bora Bora Nui is actually a complete renovation and rebranding of the former Hilton Bora Bora Nui Resort & Spa. The new version of the hotel will have 28 garden and beach villas and 86 overwater bungalows, including two-story Presidential Suites. The hotel also features four restaurants including an overwater lounge and a Chinese eatery, plus a hilltop spa with open-air treatment rooms and a private island where guests can enjoy private excursions and romantic dinners. Rates in April start at 82,080 French Polynesian francs (~$720) per night. This will be a Category 9 Hilton property, with rates ranging from 50,000-80,000 Hilton HHonors points per night (though after a thorough search, prices only seem to be pricing out at 80,000 per night). 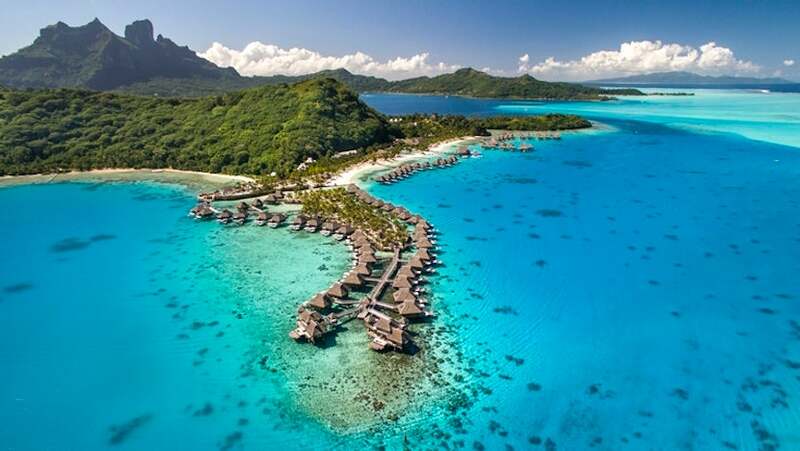 The Hilton Bora Bora Nui Resort & Spa is becoming a Conrad in 2017. Image courtesy of Hilton. Why You Should Go: 21c is a boutique mini-chain, launching in the southern states with a first location in Louisville, Kentucky, in 2006, followed by more hotels in Bentonville (Arkansas), Cincinnati, Durham (North Carolina), Lexington (Kentucky) and Oklahoma City. The brand’s ethos is to rehabilitate historical buildings that embody a specific sense of place and to incorporate contemporary art into the guest experience. The result is a family of quirky, engaging and utterly unique little hotels. The newest one will be right on 2nd Avenue in the heart of one the South’s most dynamic cities, Nashville. Consisting of a small contemporary art museum, a destination restaurant and bar as well as the hotel, the whole property will take over and reimagine the Gray & Dudley Building, a hardware warehouse dating back to the early 20th century on the National Registry of Historical Places. The hotel will have 110 rooms and 14 suites, some of which will have their own outdoor terraces. Opening rates start at $299 per night. 21c Hotels’ newest property will open in Nashville this May. Image courtesy of 21c Hotels. Why You Should Go: The original Nobu Hotel opened as a boutique hotel-within-a-hotel at Caesars Palace in Las Vegas in 2013, and since then, the brand has opened properties in Miami and Manila, with more locations planned for Chicago, Bahrain and Los Cabos, among other cities. However, it looks one of the next ones will be opening in London’s trendy Shoreditch neighborhood next year with 143 guestrooms and seven suites. While the food and beverage options will, of course, be overseen by eponymous chef Nobu Matsuhisa, the building itself will be an architectural study of fractured lines and frayed edges that pay homage to the area’s gritty past. Opening rates not yet available. 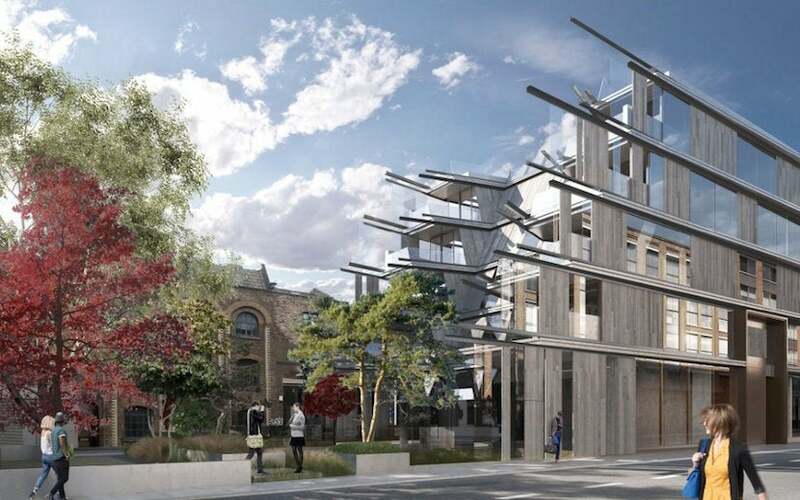 One of the next Nobu Hotels will open in London in spring of 2017. Image courtesy of Nobu Hotels. Why You Should Go: This new Beverly Hills luxury property is located right next door to its sister hotel, the iconic Beverly Hilton, at the corner of Wilshire and Santa Monica Boulevards. 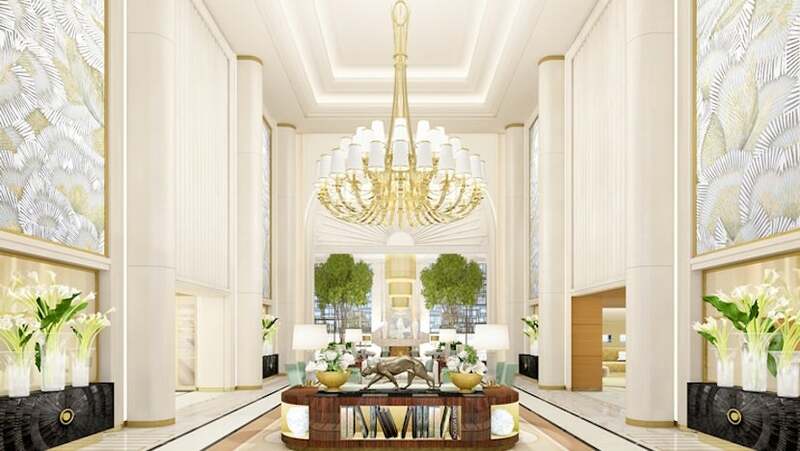 The hotel will have 119 rooms and 51 suites, with interiors designed by Pierre-Yves Rochon. On property will also be a restaurant from Jean-Georges Vongerichten, a La Prairie Spa and a rooftop pool. Opening rates start at $815 per night, with award nights ranging from 70,000-95,000 Hilton HHonors points per night for a stay at this Category 10 Hilton property. Waldorf Astoria is coming to Beverly Hills in 2017. Image courtesy of Waldorf Astoria. Why You Should Go: You might already know about Buenos Aires’s iconic Alvear Palace Hotel, which opened back in 1932 and has since become the city’s grande dame. Now, the hotel group plans to open a more contemporary hotel in a 35-story skyscraper along the Puerto Madero waterfront in 2017. It’ll have just 159 rooms and suites as well as a 32nd-floor rooftop lounge and bar, with kosher meat and milk restaurants. Opening rates are set to be about $450 per night. The Alvear Icon will be Buenos Aires’s hottest new hotel opening in 2017. 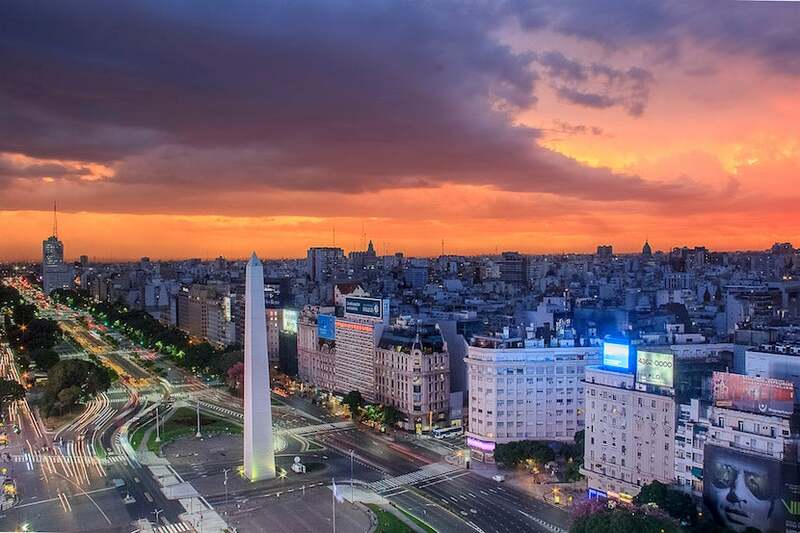 Image courtesy of Buenos Aires Tourist City Board. Why You Should Go: In recent years, Poland has become one of Central Europe’s most accessible destinations thanks to its cultural riches and the fact that it’s relatively budget-friendly. Now, luxury Asian chain Raffles — actually part of Fairmont these days, which in turn was acquired by Accor — aims to make a splash with the opening of its first hotel there. Hotel Europejski actually dates to the mid-19th century, though it was damaged in World War II before reopening in the ‘60s. Raffles has painstakingly restored the building to its former glory and plans to open it around the middle of the year with 103 guest rooms and suites, a restaurant and outdoor terrace, a bar and cigar lounge and a patisserie café that hearkens back to the city’s days as a magnet for intellectuals. It’ll also have a six-room spa. Opening rates are not yet available. Raffles is taking over a historic property in Warsaw, Poland. Image courtesy of Raffles Hotels. Why You Should Go: Although it’s been put off since 2014, the opening of this property in Bangkok’s upscale Lumpini district — on the 9th-36th floors of the Central Embassy complex — finally seems to be nigh. The opening of the hotel represents a bright spot in a city whose tourism scene has slumped in recent years due to unrest and the recent passing of the Thai king. The Park Hyatt will have 222 rooms and suites and a sprawling multi-outlet complex called the Penthouse Bar & Grill that’ll be home to a speakeasy bar, an open kitchen and a multi-story restaurant. There will also be a signature fine-dining restaurant, a lobby lounge and a bar specializing in cocktails and vintage wines. No word yet on opening rates or what the World of Hyatt Category will be. 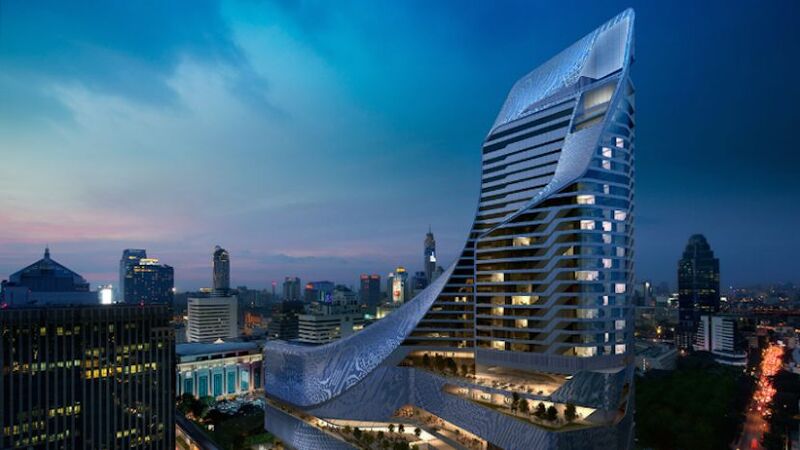 Bangkok is getting a Park Hyatt in 2017. Image courtesy of Hyatt. Why You Should Go: With a Four Seasons, a recently opened St. Regis, and now the forthcoming Ritz-Carlton, Langkawi, this Malaysian island is quickly becoming one of Southeast Asia’s premier beach destinations. The Ritz-Carlton, which will open over the summer, will have just 90 guest rooms, 30 villas and three swimming pools. You can expect to see perks like an all-day Malay restaurant, a beach bar and grill, a Chinese restaurant set along the sea and a Sunset Bar as well as a spa offering locally-inspired treatments with rooms set in lantern-like wood-lattice structures right over the water. Opening rates are not yet available, and while the hotel is listed as not participating in Ritz-Carlton Rewards (and hence no points redemptions), that could always change after it opens — fingers crossed! 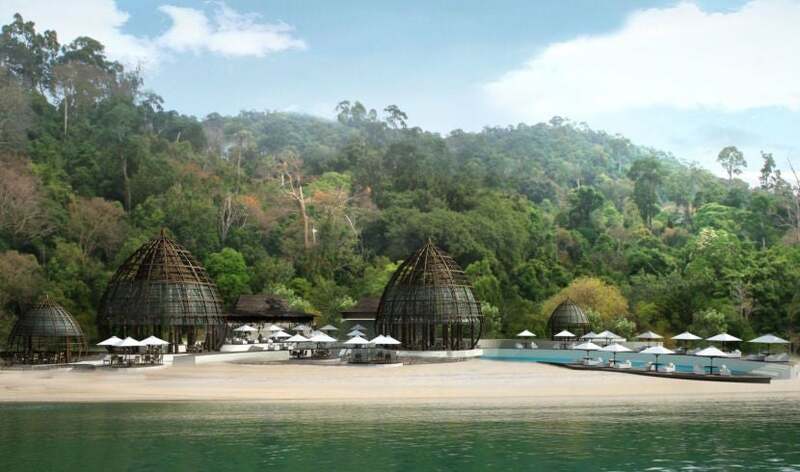 Langkawi’s getting another new luxury resort this year. Image courtesy of Ritz-Carlton. 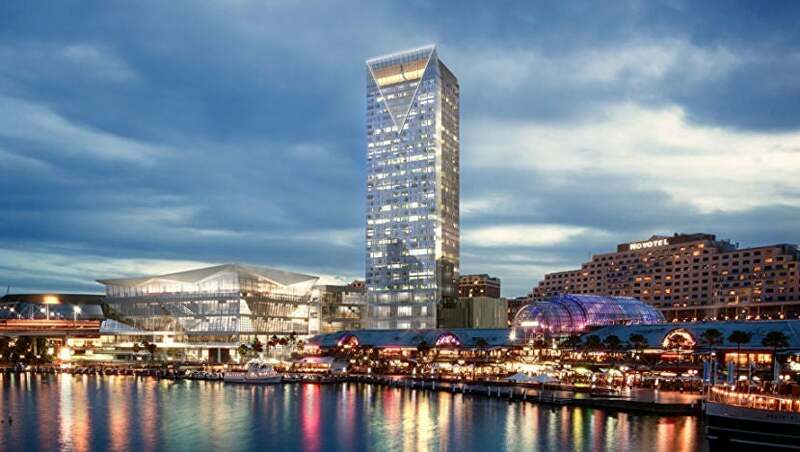 Why You Should Go: More of a business property, the Sofitel Darling Harbour will be located just across from Sydney’s new International Convention Centre and will be the first new five-star hotel to open in the city in nearly two decades. The 35-story building will house 555 rooms and 35 suites. Among the dining outlets will be a signature restaurant called Atelier by Sofitel, the Esprit Noir lobby bar and the Champagne Bar on the third floor for skyline views — speaking of views, there’s also a rooftop infinity pool. You might want to book one of the club-level rooms because the Club Millésime Lounge will be located on the 35th floor, offering stunning views of the city as well as personalized guest service. Rates are not yet available. Sofitel is opening a flagship property in Sydney next fall. Image courtesy of Accor. Why You Should Go: Rosewood aims to embody a “sense of place” with its properties, and this impending addition to the uber-luxe group looks like it’ll do just that. The resort will be about a 10-minute drive from the center of Luang Prabang, set among the area’s jungly hillsides along a scenic river and waterfall. It’ll have just 17 private villas and five luxury tents — each is about 1,100 square feet with a wraparound deck — giving the property the feeling of an explorer’s camp. The hotel will also have a bistro and bar serving a mix of Laotian and French cuisine, and Sense, a Rosewood-branded spa with three treatment rooms. Opening rates are not yet available. Rosewood goes glamping with a new property in Luang Prabang late in the year. Image courtesy of Rosewood. Why You Should Go: Edition is the edgy brand within Marriott’s portfolio spearheaded by nightlife and hospitality impresario Ian Schrager. 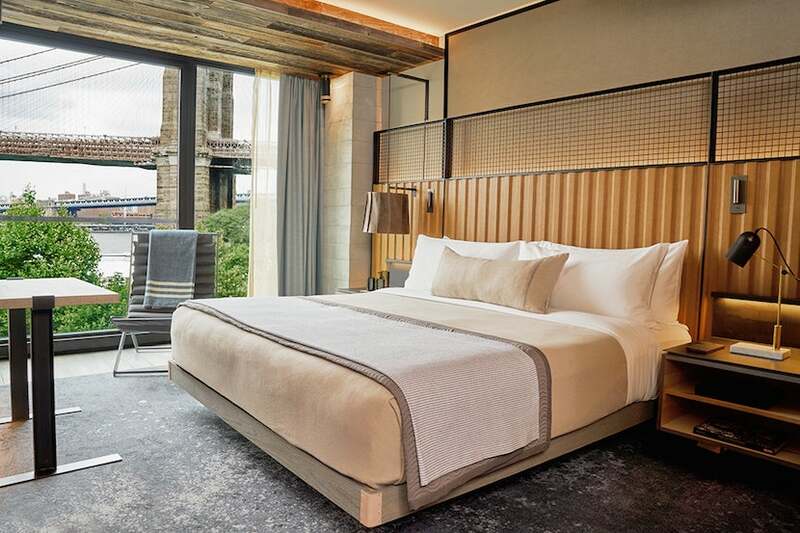 This latest location will be located in Barcelona’s historic Ciutat Vella district, and will have just 100 rooms in a structure that’s been converted from a former office building by Barcelona architects and design touches overseen by Schrager and Spanish designer Lazaro Rosa-Violan. There will be a lobby lounge, a nightclub, three restaurants and a rooftop bar. No word yet on opening rates. 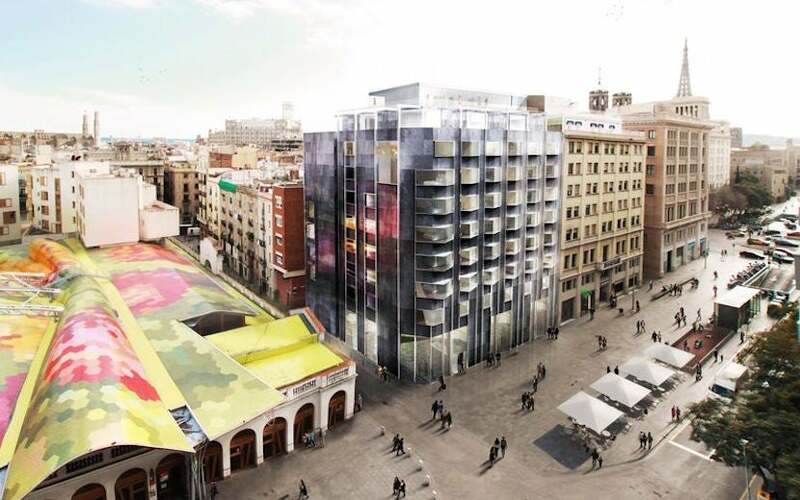 Edition Hotels will be expanding to Barcelona next year. Image courtesy of Edition Hotels. Although some of them aren’t hotels that participate directly with major loyalty programs, remember that when you use a card like the Chase Sapphire Reserve, you can still earn 3x points per dollar on travel purchases, including hotels — with the Chase Sapphire Preferred, you’ll earn 2x points per dollar. If you have the Citi Prestige (which also earns you 3x points per dollar at hotels), you’ll also be able to get the fourth night free on paid stays. Which hotels are on your travel radar for 2017? Let us know in the comments, below. Featured image courtesy of The Silo Hotel.